**OPEN HOUSE SAT & SUN FROM NOON-2PM** Enjoy this open concept and completely remodeled 4 Bed, 2 Bath house with modern and energy efficient finishes from top to the bottom. 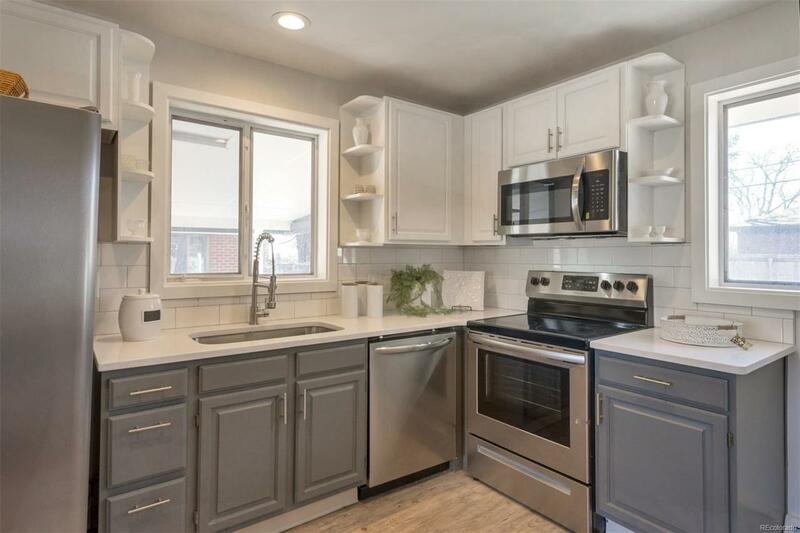 Professional renovations include an open concept kitchen with 2 tone cabinets, new kitchen backsplash, quartz countertops, custom butcher block breakfast bar for dining, and new stainless steel appliances. Other updates around the house include fresh paint and refinished hardwood floors that accent off the new flooring and carpeting and compliment the modern doors and updated fixtures. All bathrooms have been revamped and include contemporary wall vanities and new tile. Newer HVAC systems have all been updated with a 90% efficient furnace and LED lighting throughout the house will keep utility cost low. Basement is completely remodeled and includes two conforming bedrooms with egress windows, remodeled bathroom, new carpet, and an oversized laundry room with washer and dryer included in the price. Welcome home!